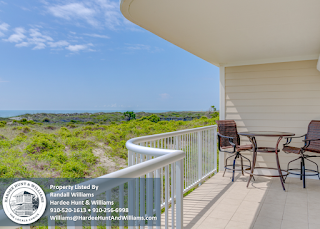 Rarely available 'Sterling Edition' oceanfront 3 bedroom, 3 bathroom condo presented for sale at Wrightsville Dunes, located along the quiet north end of Wrightsville Beach. This highly sought oceanfront floorplan offers long range vistas from a prized covered oceanfront balcony, enjoy Wrightsville Beach's famed ocean cooled evenings and sea breezes year round. Enter into a condo alive with light. The spacious oceanfront living area and sizable master suite frame picture perfect blue water views. Tasteful interior offers hard surface granite kitchen counters and all furnishings convey with few exceptions. This little paradise lives much larger than it measures. 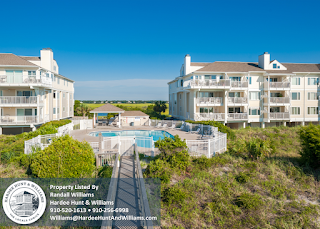 Wrightsville Dunes owners enjoy 2 oceanfront swimming pools, multiple private beach paths, ample parking, on-site management, and more. 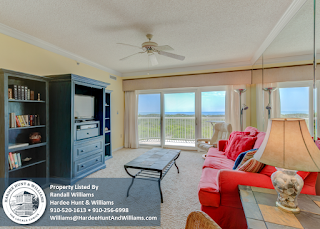 Contact Hardee Hunt & Williams at 910-256-6998 to schedule your private, guided tour of 2500 N Lumina Avenue #1-B at Wrightsville Dunes today!